MPJAP Recruitment 2017 Notification: The officials of the Madhya Pradesh Jan Abhiyan Parishad (MPJAP) is ready to hire the capable candidates for 291 Mentor Vacant Jobs. Job hunters who are waiting for the latest Govt Jobs in India are suggested to read this article completely and get an overall idea about the instructions are given in the MPJAP Recruitment 2017 Advertisement. Applying candidates must obey the below given educational qualification according to the MPJAP Recruitment 2017 Notification to get eligible for the MPJAP Openings. Aspirants who have done a Post Graduation Degree / Diploma in different streams like Social Work/ Rural Development/ Political Science from a recognized University are the desired educational qualification are eligible to apply for these MPJAP Jobs. In order to get placed in this recruitment, you have to clear the recruitment rounds which are conducted by the Madhya Pradesh Jan Abhiyan Parishad (MPJAP) to select the capable and eligible candidate for the Mentor Jobs. As per rules which are stated in the MPJAP Recruitment 2017 Notification candidates who are willing to apply they can submit the application form before the last date which is 10-10-2017. Another hand, check this page completely which is created by our sarkarirecruitment.com team to check the remaining details about the MPJAP Recruitment 2017 Notification to get placed in this recruitment very easily. This is a good chance for the aspirants who are looking for the Madhya Pradesh State Govt Jobs. So check this article completely to get an idea about the eligibility. Candidates with the desired age limit are eligible to apply for these MPJAP Recruitment 2017. It is Clearly stated that the applicants need to satisfy the age to consider their filled application forms. Although the officials have not mentioned correctly about the Age limit in the Advt. So we suggest the aspirants can refer the official MPJAP Recruitment 2017 Notification to get detailed information about the age limit and age relaxation. If you do not obey the age limit then you may get considered for the Madhya Pradesh Jan Abhiyan Parishad Jobs. The officials of the Madhya Pradesh Jan Abhiyan Parishad (MPJAP) says that candidates who got placed in this recruitment by clearing all the recruitment rounds they will get the attractive pay band as per norms of the MPJAP. So candidates are suggested that they can check the notification to get information about the MPJAP Jobs pay band and pay scales. For more information about the MPJAP Recruitment 2017 visit the official website of the Madhya Pradesh Jan Abhiyan Parishad (MPJAP) i.e., www.mpjap.org or check this page completely. The selection of the applied aspirants is purely based on the merit in the recruitment rounds which are conducted by the officials of the Madhya Pradesh Jan Abhiyan Parishad (MPJAP). You need to perform well in the Personal Interview rounds to get placed in this MPJAP Recruitment 2017. And to get participate in this recruitment you have to pay the application fee. So, All categories are suggested to check the MPJAP Openings Advertisement to get the information about the Application fee. Or you can also visit the official web page of the Madhya Pradesh Jan Abhiyan Parishad (MPJAP) which is www.mpjap.org to get the info regarding the examination fee. So it is beneficial to all candidates check the MPJAP Recruitment 2017 Notification before going to apply for these positions. 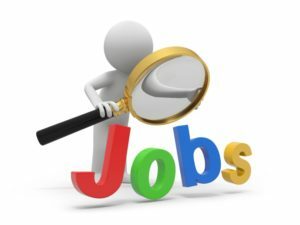 And according to the officials of the Madhya Pradesh Jan Abhiyan Parishad (MPJAP) Employment Notification, willing candidates can apply for these MPJAP Openings must submit the application form through offline mode and no other mode of the application will be accepted by the officials of the MP Jan Abhiyan Parishad. So check the below sections of this page to get more information about the MPJAP Recruitment 2017 Notification. Applying candidates must obey the below given qualification according to the MPJAP Recruitment 2017 Notification. Aspirants who have done a Post Graduation Degree / Diploma in different streams like Social Work/ Rural Development/ Political Science from a recognized University are the desired educational qualification are eligible to apply for these MPJAP Jobs. Candidates with the below provided age limit are eligible to apply for these MPJAP Recruitment 2017. So we suggest the aspirants can refer the official MPJAP Recruitment 2017 Notification to get detailed information about the age limit and age relaxation. All categories are suggested to check the MPJAP Openings Advertisement to get the information about the Application fee. Or you can also visit the official web page of the Madhya Pradesh Jan Abhiyan Parishad (MPJAP) which is www.mpjap.org to get the info regarding the examination fee. The selection of the applied aspirants is purely based on the merit in the recruitment rounds which are conducted by the officials of the Madhya Pradesh Jan Abhiyan Parishad (MPJAP). You need to perform well in the Personal Interview rounds to get placed in this MPJAP Recruitment 2017. The officials of the Madhya Pradesh Jan Abhiyan Parishad (MPJAP) says that candidates who got placed in this recruitment by clearing all the recruitment rounds they will get the attractive pay band as per norms of the MPJAP. So check the notification by clicking on the below provided links for more details about the MPJAP Vacancies Salary and Pay Band. Willing candidates visit the Madhya Pradesh Jan Abhiyan Parishad (MPJAP) official website i.e., www.mpjap.org. To know the eligibility check for MPJAP Recruitment 2017 Notification on the home page. or you can also check this page completely to get updated information. Read the Advertisement to know the details about the MPJAP Openings. Applicants who fulfill all the requirements can apply through Offline mode. Fill the form and attach all required documents as per rules. Post that filled the application form to the below provided postal address before the last date.